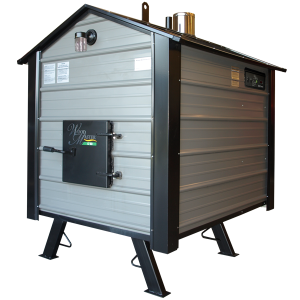 The Outdoor WoodMaster 5500 Wood Furnace is double-plumbed and ideal for farms, providing heat for a barn and a large shop or midsize commercial building. Increased fuel capacity for higher heat output, plus a larger door (more than two feet by two feet) for easier loading makes this an efficient choice for agricultural applications. WoodMaster furnace owners get more usable heat from more affordable, cleaner sources. 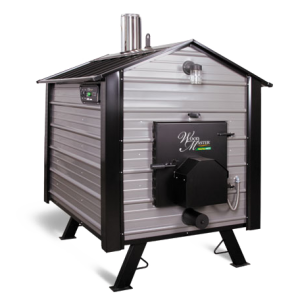 Each WoodMaster wood furnace is specifically engineered to efficiently heat your entire home or other spaces. 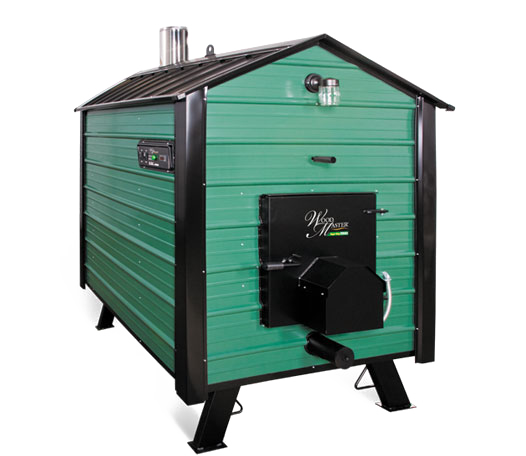 You save money every time your WoodMaster kicks in. You also stay insulated from fluctuating fuel oil, natural gas and other prices. And WoodMaster dealers have no-hassle financing available. 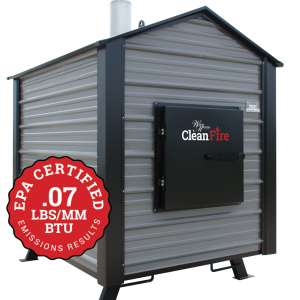 Freestanding, easy-to-operate WoodMaster furnaces work with most existing heat systems, including hot water, forced air, hydronic heat, radiant baseboard, existing water-to-water and in-floor. 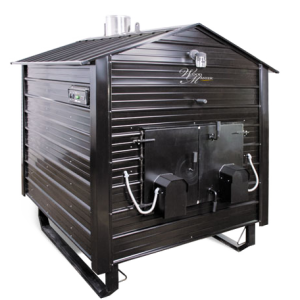 A WoodMaster furnace serves as a primary heat source or in conjunction with existing systems to warm homes of all sizes, garages, workshops, pools, whirlpools, spa areas and other spaces, plus hot water systems.